Nicaragua continues to build on its lead position as the largest exporter of premium, handmade cigars to the United States. In August—the most recent month reported by the Cigar Association of America—the Central American nation shipped 16.9 million cigars to the U.S., up more than 22 percent from the 13.8 million shipped in August of 2017. The Dominican Republic shipped 9.7 million premium smokes to the U.S. in the same period, a slight decrease from the 11.9 million shipped in the same month of 2017. For the year to date, Nicaragua has shipped 112.3 million premium cigars, compared to 75.2 million for the Dominican Republic, giving Nicaragua a firm lead. Honduras, the third largest exporter, has shipped 44.3 million cigars. Countries other than the top three include Costa Rica and Mexico, which ship relatively few premium, handmade cigars to the U.S. Handmade cigar shipments in general remain on the upswing, with overall shipments up 5.2 percent for the month of August and up 9.9 percent for the year. The past two years have been very good for cigar shipments. Despite pressure from the government, more and more handmade cigars are coming into the U.S. In 2017, handmade cigar imports increased by 2.4 percent to 330 million cigars, the highest level seen since 1998. 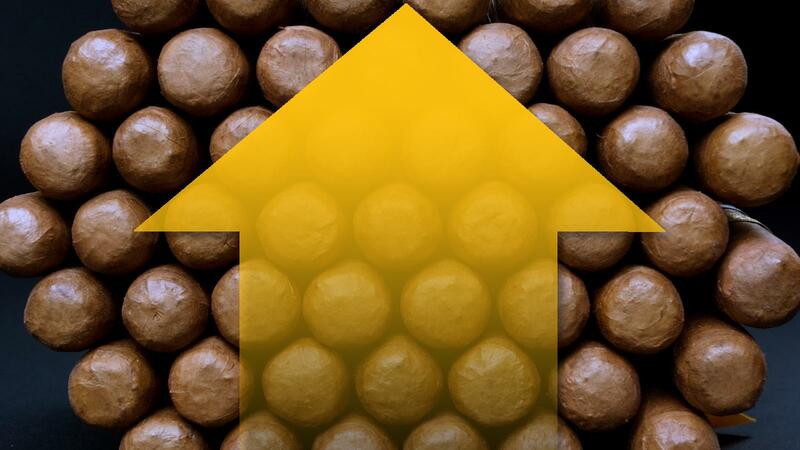 If the current pace of growth continues for the remainder of the year, cigar shipments will exceed 360 million units, but it’s too early to tell if that robust increase will be maintained throughout the fourth quarter.